The mission of Haley’s Hope is to change how people recognize and understand the way those with dyslexia learn. With help from the Impact Foundation, we’ve broken up the numerous Fargo-Moorhead organizations into 12 categories. With more than 100 charitable organizations in the Fargo-Moorhead area alone, we know that you’ll come across an organization that tug at your heartstrings. Within the listings of local charities we’ve published, the organizations are split into subcategories that will make it easy for your charitable spirit to find its match. Here is our spotlight on the Education nonprofits, featuring Haley’s Hope. Lynda Slininger knows what it’s like to see your own child struggling with dyslexia. When she learned that her eldest daughter, Bellamy, had dyslexia, she came to Haley’s Hope for guidance. The mission of Haley’s Hope is to change how people recognize and understand the way those with dyslexia learn. Founder and director Kari Bucholz said, “Education should have a positive impact on the lives of children. It should give knowledge, build confidence and help them to discover their passions in life.” However, having dyslexia often robs students of both educational and life skills. Founded in 2011, Haley’s Hope offers one-on-one tutoring for reading, spelling and writing and is the only regional resource that specializes in addressing the many challenges people with dyslexia face. Haley’s Hope offers a fidelity based Orton-Gillingham program that teaches children how to read and write on their own. Lynda saw through her daughter’s four-year experience with the program and now is taking what she got out of Haley’s Hope and giving it back. “When she graduated from the program, it was like we were leaving family; it was hard,” she said. Lynda knew she wasn’t ready to leave this organization that changed the lives of her and her daughter. Founded in 2011, Haley’s Hope offers one-on-one tutoring for reading, spelling and writing and is the only regional resource that specializes in addressing the many challenges people with dyslexia face. With the help from tutors like Lynda at Haley’s Hope, these amazing kids are able to reach their full potential. Bucholz noted that the biggest gift you can give to Haley’s Hope is giving those who are struggling with dyslexia a voice in their community. The more people share their story with facing the challenges of dyslexia, the more dyslexia moves from a disability to a gift. 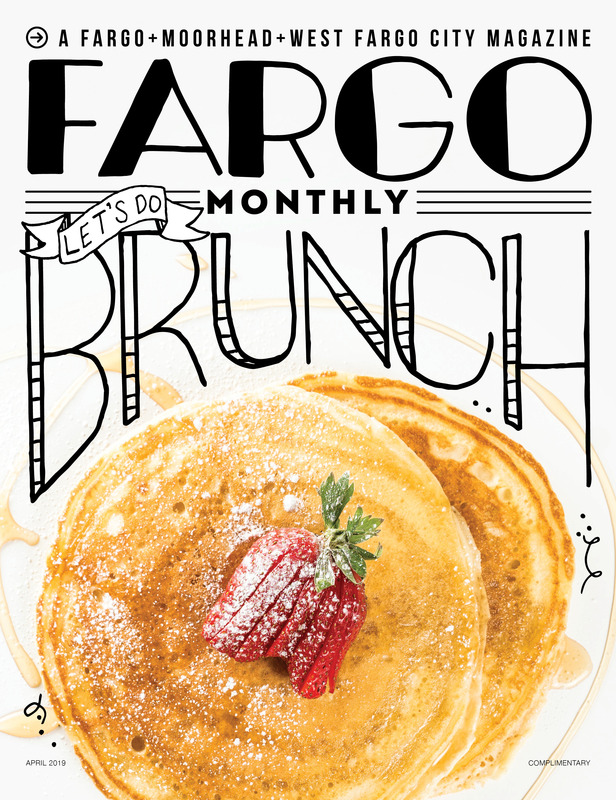 “So many people are struggling and they don’t know we are here in the Fargo-Moorhead area. We are here, we are ready to help,” Tracy said. The sheer exposure of dyslexia and the financial impact through our involvement in GHD has allowed us to grow and reach more of the one in five with dyslexia in our community. We would not be where we are today without GHD. However, Haley’s Hope has been impacted in numerous ways beyond the financial impact during Giving Hearts Day. Dakota Medical Foundation and Impact Foundation have taught us invaluable skills in what it means to be true to our mission and change lives through and with the generous financial and supportive donations of others. A few years ago, a young man took $20 of his own money and brought the cash to us on Giving Hearts Day. Every year, I am reminded that every donation, no matter the size, is given because the donor believes in our mission of helping others. Haley’s Hope has successfully helped hundreds of children and adults with dyslexia gain needed literacy skills in order to navigate their educational and professional environments. Haley’s Hope’s main service is offering one-on-one tutoring in reading and spelling; however, we also see a need to create programs in comprehensive skill-building. Our Creative Learning Programs [in development] are tailored to the unique cognitive process of each student, guiding them down the best path to success. Through additional handwriting, math and study skill programs, we are able to break through another layer of defeat and frustration our clients feel on a daily basis. The more we can raise, the sooner we will be able to offer these programs. While we have made great strides in educating the public about dyslexia in the last eight years, it is still misunderstood by many people, including educational professionals. Dyslexia affects one in five people and is the most common learning disability in our nation (National Institute of Health). Haley’s Hope is looking forward to increasing dyslexia awareness in 2019 and beyond. What Would Be Lost In The Community Without Haley’s Hope? Without proper assessment and instruction, parents and schools retreat to old approaches like forcing more reading, only compounding the problem. Students get improperly channeled into costly special education programs and without effective solutions, they may never “graduate” to regular classrooms. Children are sometimes blamed for “not trying hard enough,” and relationships become combative. Often teased, students become quiet, lose motivation, have few friends and come to hate school. $55 will bring the gift of learning how to read and write.